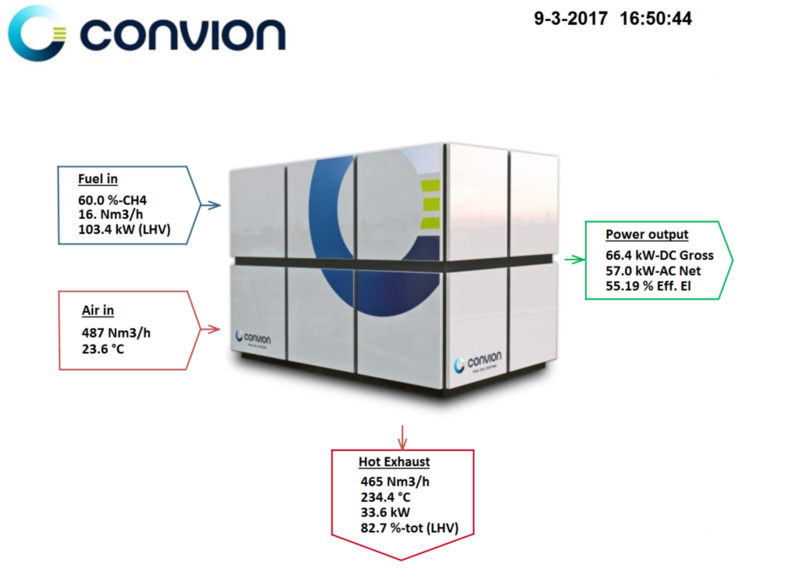 Convion Ltd. is pleased to announce that the company has successfully started testing of a first biogas fuel cell unit belonging to a pilot delivery to Italy. The system went live last week in Espoo, Finland and since then, it has shown in the trial run a superb electrical efficiency above 55% net-AC when run on biogas. Equipped with exhaust heat recovery, total efficiency is above 82%. The unit will undergo a series of tests at Convion premises prior to shipment to Turin, Italy.